The Outdoor CEO Diversity Pledge pairs leading outdoor brands in one-on-one relationships with inclusion advocates to advance representation for people of color across the industry. We're focused on enhancing representation across staff and executive teams, media and marketing, and athletes/ambassadors. By building a relationship of support, empathy and understanding, versus external skepticism and internal stress, we’re moving the outdoor industry towards authentic inclusion. Logo courtesy of Brooklyn Bell. Click to learn more about each organization who has signed on! Teresa Baker is the founder of The Pledge and the African American National Park Event. Her vision is anchored in interacting with outdoor entities (i.e. retailers, NGOs, federal agencies) who are having difficulty engaging diverse audiences within their organization and in outdoor arenas, such as national parks. Teresa is an event planner and DEI advocate, as demonstrated in the recent Buffalo Soldiers trail retracing pilgrimage, from the Presidio of San Francisco into Yosemite National Park.  For companies interested in signing the Outdoor Industry CEO Diversity Pledge, please email outdoorceopledge@gmail.com to express your interest.